Assembled from the airwaves, shot from a cathode ray-gun, these images are literally stitched together, interlaced to resemble our collective unconscious. Dreams, fantasies, desires and nightmares are projected onto the screen as an electron dance painted at 15,750 lines per second. We watch TV both passively and aggressively. Passive because we are receiving from outside our imagination, yet aggressive because we control the conduit to our id. Change channel, pause , repeat, surf, tune in or tune out, we are always searching for a resonance within our own sense of identity. The images included in this project are a result of photographing an assortment of CRT TV’s with an SX-70 Polaroid camera. The photographs are not manipulated beyond the controls of the TV itself. They reflect both the manifest perceptions of Rico Schwartzberg and the visions of a consumerist society at large. Beamed through the airwaves, vibrating through the megahertz, they are finally captured, making the ephemeral concrete. 48 Pillars was inspired by a chance encounter at Flax with a close-out sale of deep vertical panels, 48” x 12” x 1 5/8”. 24 local Bay Area artists will produce two pieces each on these identically sized panels that will exactly ring the gallery – 48 works total. is is the second exhibition at Arc Gallery that is essentially a “structural con- straint” show. e other exhibition is our iconic annual, end of summer exhibi- tion, FourSquared. In both exhibitions, the artists are unconstrained in subject matter except to the extent that works need to be a series; but they are constrained in format. It should be visually stunning. Thomas Reynolds Gallery, 1906 Fillmore St. 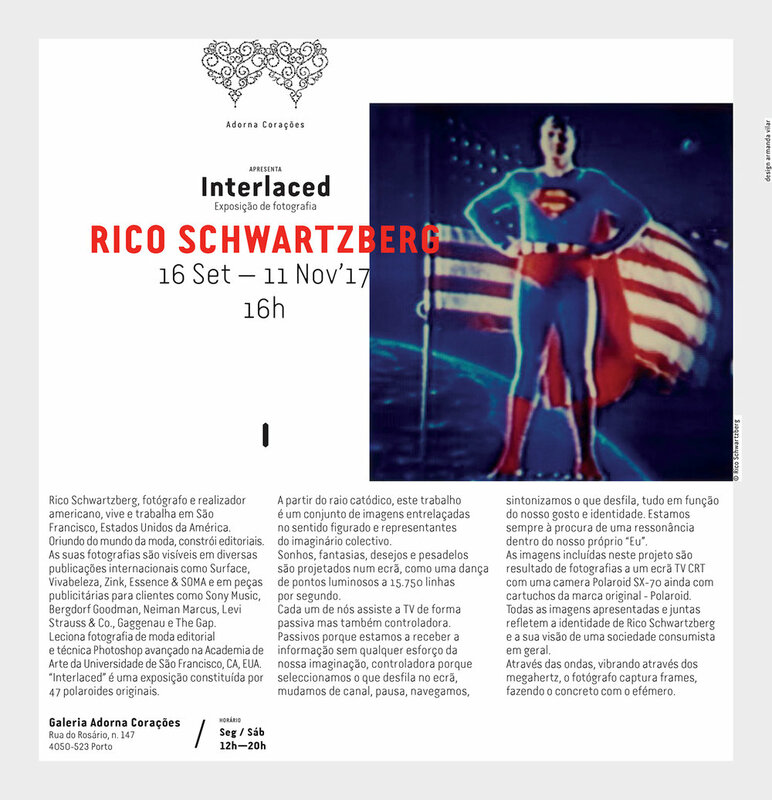 The Luso-American Education Foundation is presenting the photography of Rico Schwartzberg from his several trips to Portugal over the past few years. The images will be concentrating on the urban landscape with emphasis on street art as well as the transformative architecture of recent years. The presentation is titled Framed Portugal at San Jose State University, on Saturday, March 11 at the Compean Student Union Building, Rooms 2A and 2B, 3:30 - 4:30PM. Rico will be co-presenting with Valerie Mendoza (Director of the Photography Program at SJSU). I look forward to being in Santa Fe for this reception. 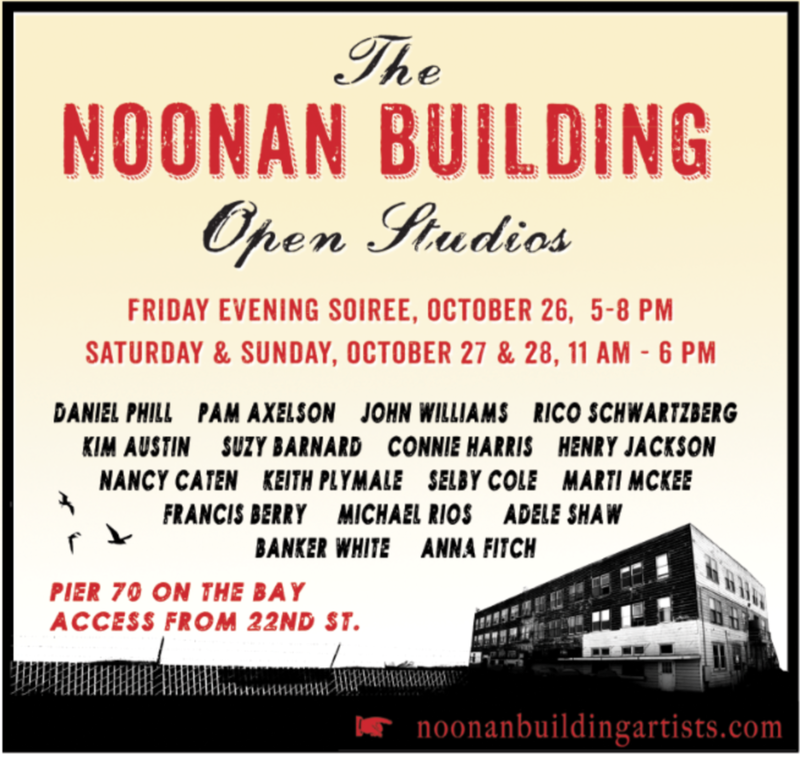 Please stop by and say hello if you are in the area. Upcoming Show in San Francisco. A solo exhibition of new paintings by Daniel Phill.